DESCRIPTION OF THE BOOK: At the Medio School for Girls, distinguished young women are trained for one of two roles in their polarized society. Depending on her specialization, a graduate will one day run a husband’s household or raise his children. Both paths promise a life of comfort and luxury, far from the frequent political uprisings of the lower class. MY TWO CENTS: Would it be hyperbolic to say that I’ve been waiting my whole life for a book like this? Reading We Set the Dark on Fire made me feel fifteen again, devouring every immersive fantasy book with a twist of romance that I could get my hands on. But where those books fell short in both diversity and female empowerment, We Set the Dark on Fire excels and exceeds. Opening with a brief folkloric backstory, Tehlor Kay Mejia’s shining debut novel submerges its reader in the hierarchical world of Medio and its fraught borders. Medio’s tension with its border towns and what lies beyond its literal border wall finds roots in the mythology established at the beginning of the text: The disintegrating relationship between brother gods, both desirous of the same wife. Ultimately, the Sun God won the right to have a relationship with both an earthly queen, Constancia, and the Moon Goddess—his Primera and Segunda wives—over his brother, the Salt God. Scorned and cursed, the Salt God was banished. Mimicking this folktale, Medio’s contemporary social system is built around the upper classes having a Primera wife, who runs the household, and Segunda, for beauty and harmony. While the upper echelons superficially thrive on this model, the border and beyond—territory of the Salt God—suffers and is subjected to increasing violence. Mejia’s worldbuilding in the first few pages of this novel are brilliant, thorough, and engaging in a way that doesn’t feel beleaguered. Though Medio’s world may seem leagues away, its tumultuous border disputes feel so grounded in our contemporary moment that readers will instantly latch onto this novel. The orders that those who would risk traversing Medio’s border wall be shot on sight seem jarring when reading the novel, but then I turn on my TV or open social media and I’m reminded, once again, of the exigency of a novel like this. Additionally, Mejia’s masterfully and lovingly created world plays perfect backdrop to the complex relationship between new Primera wife, Dani, and Segunda wife, Carmen. Dani, an undocumented immigrant from beyond the wall, smuggled across when she was a child, has managed to stay under the radar, even through her new marriage to the most eligible and most politically well-positioned bachelor in Medio. But her passing comes at a cost: being indebted to the rebel group La Voz. As Dani performs increasingly risky tasks for La Voz, she becomes further entangled with their mission. Complicating matters is her at-first catty relationship with Carmen, but as Dani and Carmen grow more intimate, Dani’s investment in the revolution becomes all the more precarious. We Set the Dark on Fire sets the stage for what (I hope, please Tehlor Kay Mejia, please, tell me there will be more) promises to be a robust and revolutionary universe. Carmen and Dani’s relationship, alone, is a revolutionary prospect. We are getting more and more queer Latinx books for young readers, but to see this kind of representation in a fantasy novel is just lovely and wonderful (even if the plot of the book is dark and gritty). Like I said, this is the kind of novel I would have loved as a teenager. It doesn’t overemphasize its love story, but it makes Dani’s unfolding attraction to Carmen feel organic, naturally growing from their situation and Dani’s own burgeoning self-awareness. What’s more, the attention to Dani’s growth and empowerment will resonate with young readers, seeking similar empowerment from the texts they read. Finally, Mejia’s choice to make this a Latinx story is calculated and necessary. The names, foods, and contours of Medio’s spaces bespeak Latinx culture, but Mejia is careful to not overemphasize and caricaturize. This world feels real because it’s grounded in something real. Mejia’s given us a gift in this lush, rebellious, queer, Latinx story. 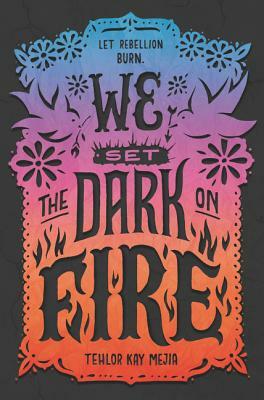 All-in-all, We Set the Dark on Fire’s otherworldliness, its devotion to strong and multifaceted female Latinx characters, and its queer romance subplot make it impressive, and Mejia’s immersive prose make it lasting. To be fair, it may be a little difficult to get into because it does move slowly, building tension at the same time as the reader digs deeper into Medio’s innerworkings; even so, it’s worth the wait. For fans of Anna Marie McLemore’s books, We Set Fire to the Dark is a must-read. We’ll be talking about this book for years. 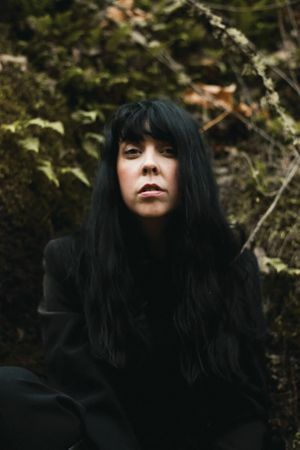 ABOUT THE AUTHOR: Tehlor Kay Mejia is an author and Oregon native in love with the alpine meadows and evergreen forests of her home state, where she lives with her daughter. We Set the Dark on Fire is her first novel. You can follow her on Twitter @tehlorkay. ABOUT THE REVIEWER: Cris Rhodes is a lecturer in the English department at Sam Houston State University. She recently completed a Ph.D. in English with an emphasis on Latinx children’s literature. Her research explores the intersections between childhood activism and Latinx identities. This is the third and final installment in a roundtable conversation with some of the reviewers on our team. It can’t be said too often: we’re overflowing with THANKS for the hard work and wisdom they pour into their reviews! Still, we figured they’d have more to say on the topic of children’s and YA lit, so we posed a few questions. Latinxs in Kid Lit: Tell us about yourself as a child reader. How do those experiences color your impressions of the books you read now? Araceli Méndez Hintermeister is a librarian and archivist with a background in public, academic, and culinary libraries. I was an avid reader as a child and have very fond memories of Scholastic Book Fairs. My dad, who was a teacher, was one of my biggest literacy advocates. He would bring home piles of books and advanced reader copies that his colleagues shared with him. As a Mexican immigrant, he was mostly happy that these books were in English. It made for a really diverse set and rarely included bestsellers. Today, I still look for diversity in genres and aim to search for hidden gems. I also tend not to read bestsellers until years after their release. Maria Ramos-Chertok is a writer, workshop leader and coach with The Butterfly Series. As a bi-cultural child (Cuban immigrant father/Jewish American mother) growing up in a majority white neighborhood in the 1960 and 70s, I did not have any books that reflected my Latinx heritage. As a result, it was very challenging for me to articulate my identity. My father, who spoke English with a heavy accent, chose not to teach us Spanish. That further compounded my confusion as child named “Maria Diana Ramos” who did not speak or understand Spanish. Cecilia Cackley is a performing artist, creator of puppet theater, and a children’s bookseller based in Washington, DC. I was a voracious reader as a child and it has been a huge part of my identity since I was about six or seven years old. In elementary school, I mostly read historical fiction—I didn’t get into fantasy or sci-fi until I was in middle school. I read a lot of what we term the ‘canon’ like Anne of Green Gables, Little Women, etc and only as an adult have I realized that I never read a chapter book about a Latinx character as a kid. Even though I went to a dual immersion school, most of the Spanish books in the library were translations of things like the Little House series. I work hard to hold onto the mindset of a kid when I read, especially when reading books about Latinx characters and try to imagine how they would have affected me if I had read them earlier in life. LiKL: What is your reviewing process like? Do you take notes throughout your reading time? Are there sticky flags involved? Are there sticky fingers involved (because: sugary snacks)? Cecilia: I usually read a book through once and often I’m not sure if I’m going to be the person reviewing it. Since I’m a book buyer, I’m reading most books about six months ahead of publication date and my first thought is always for whether or not I’ll purchase this book for the store and what short blurb I can write to get a customer interested in it. Once I know I’m reviewing it for the blog, I make a list of points that I thought were especially interesting about the book and I read it a second time, paying close attention to those elements. Maria: I tend to read a book and then sit with it for a bit before writing. I like to see what it makes me think about. I don’t typically take notes or use sticky flags and I avoid eating when I write because I find it distracting (I take a dedicated break when I eat). I really don’t like people who earmark pages in books or who write in books with pen, so I avoid doing both. Over the course of a few days, I might jot down some phrases to jog my memory for when I do sit down to write. I prefer an organic flow on the page to the pre-outlined, thoughtful preparation. I’m that way in a lot of my life –not just writing (spontaneous versus planned). Araceli: Most of my reading happens during my long commute on the Boston T, so I keep tools to a minimum. Before writing a review, I keep a document on my phone filled with notes by categories — overall thoughts, teaching connections, and related readings. I make a note of quotes and page numbers that speak to me and my Latina identity. On my happiest reading days, I sit on my couch next to my dog. Unfortunately, this means keeping my snacks to a minimum. LiKL: Your work as an educator, youth librarian, scholar of children’s literature, or author of books for young readers is bound to affect your work as a reviewer. Help us understand the professional perspective you bring to the evaluation of texts. Maria: In my youth, I worked a lot with kids who had severe challenges (sexual abuse, emotional disturbance, severe physical disability). I always had an acute awareness of how dependent children are on adults, and how the information we provide them, including the stories we tell, influences their development and sense of self. I never wanted to betray any child’s trust, so in my evaluation of texts I look for honesty and stories grounded in truth. I had my own children later in life, age forty and forty-two, and that perspective is what guides me most as a reviewer. I want a book that I would feel good reading to my two sons; I want a book that will make them think; I want a book that has characters that look like them. Araceli: As a librarian, I try to be open-minded. While I may sometimes find fault with the story line or characters, that does not make a book bad. It just means it may not be for me! Reading is all about finding the right fit for yourself. I don’t believe there are people who aren’t readers, I just think they haven’t found the right literature yet. With so many formats, genres, book lengths, and topics, the possibilities are endless. With this perspective, I try to think about what type of reader each book is aimed for and highlight what they would find the most interesting. LiKL: Let’s draw up a wish list for authors and publishers. Which genres, storylines, locations, representations, or other considerations do you pine for in books for children or teens? Maria: I am the daughter of a mother who came out as a lesbian when I was fourteen. That was in 1976 and there were no books that I knew of then that spoke to my circumstance or to my changing family construct. I love that there are books on alternative families now, but I also want characters who are racially and culturally mixed. I want layered characters and I also want strong feminist characters. Cecilia: Central-American representation, PLEASE! I live and work in a city where the majority of the Latinx community has ties to El Salvador, Guatemala and Honduras. Across the river in Virginia, we have a huge Bolivian community. I almost never see these kids represented in books, especially by authors who share their heritage. LiKL: Now let’s flip the coin. What are your reading pet peeves? Specify the tired tropes, stereotypes, or overused plot machinations that cause you to roll your eyes—or to slam a book shut. Cecilia: Books that treat Dia de los Muertos like Halloween, books where everyone from Latin America lives in a little village, books where all the Latina characters are the “tough girl,” books where all the Latinx characters are poor or in a gang. Maria: I’m tired of girl meets cute boy and they have a crush. I know that sells, but there are many other realities related to sexual orientation that are non-binary and gender fluid. That is a huge challenge for kids and I’d like to see more fluidity in the gender roles and stories. LiKL: What is your current hot read and which books are at the top of your to-be-read list? Maria: Someone just sent me a copy of Dear Madam President: An Open Letter to the Women Who Will Run The World. It’s not a book I would have bought for myself, but I found it interesting and think it’s a good read — especially for young adult women. Also, two dear friends of mine Alma Flor Ada and F. Isabel Campoy wrote the book Yes! We are Latinos (2013) and gifted me a copy. I absolutely love that young adult book because it does exactly what I’ve always wanted in a book: share a diverse grouping of stories about the many different ways to identify as Latinxs. I wish I’d had a copy when I was growing up, but having it now is healing something inside of me. Cecilia: I’m about to start WE SET THE DARK ON FIRE by Tehlor Kay Mejia and I’m super excited for it! In case you missed the previous posts in this series, here are links to Parts 1 and 2. Unfortunately, not every current or recent contributor was available to respond to this Q&A. Here’s a list of those reviewers–mil gracias to each one! Chantel Acevedo reviewed Martí’s Song for Freedom/Martí y sus versos por la libertad. Dora M. Guzmán loves covering picture books. Here are her thoughts on Alma and How She Got Her Name/Alma y como obtuvo su nombre. Carolina Hinojosa-Cisneros supplied great insights on Jabberwalking. Christa Jiménez did an excellent round-up review of baby books from indy publishers. Marcela Peres provided her insights on Sci-Fu: Kick it Off. Lettycia Terrones gave us a breakdown of The First Rule of Punk. This is part 2 in a roundtable discussion with members of our reviewing team. We are immensely grateful for their work. Most of them lead busy professional lives that center around literacy and literature. It only figures that they would have more to say about Latinx kid lit than can fit into a single review. Let’s hear them out. LiKL: Tell us about yourself as a child reader. How do those experiences color your impressions of the books you read now? Jessica Agudelo is a children’s librarian at the New York Public Library. Like many librarians, I was a dedicated reader throughout my childhood. I loved stories and even the physical books themselves. One of my greatest pleasures was when the Scholastic Book Fair would come to my elementary school. I felt such joy browsing the glossy covers, then selecting just the right one to bring home and add to my own cupboard library. My treasured stash. I adored books like Amber Brown and the Wayside School series, and later the Caroline B. Cooney mysteries. I was an adult before I started realizing that my reading life was devoid of authors and characters of color. I didn’t know I needed it. But once I realized it was missing, I made a point to read all I could by and about Latinxs, and other non-white cultures and people. Nowadays, when I read titles like Pablo Cartaya’s The Epic Fail of Arturo Zamora, or Celia Perez’s The First Rule of Punk, I feel like I am 11 again, because these authors have so beautifully and honestly depicted the experiences of second-generation Latinx youth, reflecting many of my own struggles and joys. I am also grateful to be in the position to share diverse stories with kids, who can recognize themselves in these books or get a glimpse into the life of someone. In this way, I make up for lost time. Jessica Walsh is the K-12 ELA Instructional Specialist in an Illinois school district. In kindergarten, I won a prize for having read the most books in my grade. We didn’t have many books at home back then – we couldn’t afford them–so I relied on my school and public libraries. Later I got books from the Scholastic Book Order and read titles like Beezus and Ramona and the Peanut Butter and Jelly series. Moving on to middle school, I consumed a steady diet of Sweet Valley High and everything by Christopher Pike. I remember staring long and hard at the covers, imagining what it would be like to live those lives. Looking back, I was searching to discover who I was. As the only kid of Mexican descent, I looked different than my peers and my hair wouldn’t do what the other girls’ hair did. (It was the 80s though…so I rocked that perm!) We had little money and I never had the right clothes or accessories. What the books I read had in common, though, were the universal struggles of growing up: conflicts with friends, parents. As I read and consider which books to put in kids’ hands, I think about the books I loved and that instilled in me a joy of reading. Elena Foulis, Ph.D., leads a digital oral-history program to document the stories of Latinxs in Ohio. As a child, I liked reading, but lacked someone in my life who could point me to good books, appropriate for my age or identity. When I started college, I was in the U.S. and I devoured books that connected me to my roots and reminded me where I came from. I mostly read in Spanish, and later on, multi-ethnic literature in English. I have a graduate degree in comparative literature, so reading from different groups allowed me to learn from different cultures, linguistic backgrounds and histories. Jessica A: My reviewing process varies, depending on what I’m reading. For picture books, I read once through for an initial reaction to the story and art. Then I read a few more times (at least once, aloud) to note specifics, such as the relationship between the text and illustrations, or narrative strength and nuance. For fiction, sticky notes are a necessity! I don’t like writing in books and hate dog ears (although I sometimes use this technique on the train, when sticky notes aren’t available). I make notes about recurring themes, characters and their notable traits, plot specifics, and stand-out quotes that I might want to include in the review. I also jot down any similar books that come to mind, to offer that additional frame of reference. LiKL: Your work as an educator, youth librarian, scholar of children’s literature is bound to affect your work as a reviewer. Help us understand the professional perspective you bring to the evaluation of texts. Elena: In my studies, I read literature of the Spanish-speaking world and U.S. literature. Although this included canonical works, I was always attracted to writers who spoke from the margins. I liked to understand the perspective of those on the peripheries, those who challenged mainstream culture. I devoured books written by women! I think this experience is valuable to reviewing Latinx books, and as a Latina who has two teen girls, I look for how each author approaches culture, identity and language, and how young women might be empowered by books that tell a familiar story, one that connects to their own experiences. Jessica A: More ordinary stories! Latinxs are joyful and resilient, we are not always struggling and suffering. There is beauty in the mundane. I’ve had the privilege of hearing Meg Medina speak a number of times. On one occasion, she mentioned the need for our community to elevate our heroes. I couldn’t agree more. We have an admirable list of icons, but there are so many more Latinx artists, writers, thinkers, scientists, and activists that have influenced American and world history. They should be represented in the books our kids and teens are reading. Elena: I am still hoping to write a book myself! After living in the Midwest for many years, I would love to read about growing up Latinx in that region. We have The House on Mango Street, but we also need the perspective of Latinx growing up in rural areas or smaller cities, and from Central American backgrounds. It’s also important to address current topics that some consider taboo, like mental health. Jessica W: I would love to see the books I needed when I was younger, such as books about kids with a desire to claim their Latinx culture, because their parents intentionally kept that part of their identity hidden. Growing up, my mother, who remarried, kept me away from my Mexican-American family. We moved thousands of miles away and rarely visited, partly due to the cost of travel. Not until later did she reclaim her heritage, so this meant I never heard family stories, although my father did enrich my life with the traditions of his heritage. I hope that young readers in similar experiences will have someone in their lives–a librarian, a teacher, a mentor–who can place an amazing Latinx story in their hands, which celebrate their culture. If I’d had that, I wouldn’t have continued to struggle with my Mexicanidad, even into adulthood. Elena: I think there are too many coming-of-age stories in Latinx books. While these storylines are important, perhaps there can be different ways to tell them. Jessica W: Meg Medina’s middle-grade title Merci Suárez Changes Gears is dominating my thoughts right now. It’s such a powerful, yet humorous, look at intergenerational relationships and the inescapable bonds of family ties. A must-read! Also, Dreamers by Yuyi Morales, Marcus Vega Doesn’t Speak Spanish by Pablo Cartaya, Undocumented: A Worker’s Fight by Duncan Tonatiuh, and Feathered Serpent, Dark Heart of Sky: Myths of Mexico by David Bowles, are all fighting for my attention right now! Jessica A: Most of my time is spent reading children’s books. Most recently I’ve checked out some wonderful picture books, including a wordless debut by Cynthia Alonso called Aquarium; the beautifully illustrated Alma and How She Got Her Name by Juana Martinez-Neal; and the hilarious (and bilingual) take on the famous cryptid, El Chupacabras, by Adam Rex. I also recently read Feathered Serpent, Dark Heart of Sky, a fantastic young adult/adult collection of myths from Mexico retold by David Bowles. Usually I wait until the end of the year to read adult books, and on my to-read list is Pachinko by Min Jin Lee, Fruit of the Drunken Tree by Ingrid Rojas Contreras, and The Idiot by Elif Batuman. Those are just a few titles. The full list is much, much longer! Elena: Anything by Chimamanda Adichie! On my to-be-read- list: Tell Me How it Ends: and Essay in 40 questions, by Valeria Luiselli, and I Am Not Your Perfect Mexican Daughter, by Erika L. Sánchez. Latinxs in Kid Lit owes tremendous thanks to the wonderful contributors who review books for us! We were curious to learn how they conduct the reviewing process and which books sit atop their TBR lists, along with other topics. This post brings you Part 1 of a roundtable discussion with some of our current team members. Stay tuned—there’s more to come! Sanjuana Rodriguez is Assistant Professor of Literacy and Reading Education in the Elementary and Early Childhood Department of Kennesaw State University. I attended kindergarten through second grade in Mexico, where I was born. Since most of my reading there was in workbooks, my first memories of actual books was after we moved to the United States, where I read as a way to learn English. I vividly remember searching the library for books that included Latinx characters. There were only a handful, including a biography of Gloria Estefan, which I read about 100 times. This is partly why I developed an interest in books by and about Latinx. My own background taught me the importance of kids seeing their experiences reflected in texts. Cris Rhodes is a lecturer in English, who recently completed her doctorate in literature. My mom was an elementary school teacher, so she knew the importance of reading to my twin sister and me. Because of this, I became an avid reader. I read and reread the Josefina American Girl series. She was the first character I encountered who looked like me, and I used to put on traditional dresses to pretend I was her. As an adult, I’ve revisited those books and am sad to say they’re pretty awful, as far as representation goes. Now, when I do research on representation, I keep my child-reader self in the back of my mind. That little girl deserved better, so I let that inform how I read and advocate for the many excellent Latinx children’s books available today. Mark Oshiro, the author of Anger is a Gift, is also the driving force behind the website Mark Does Stuff. I started reading at a very young age, and after reading almost everything in my school library, I moved on to my local branch. But few books had characters like me. Prior to high school, I recall only Bless Me, Ultima, which I have not revisited in a long time. Reading The House on Mango Street, at 14, is what made me realize that people like me could be in a novel. It’s one of the most important books in my life. Katrina Ortega is the young adult librarian at the Hamilton Grange Branch of the New York Public Library. As a child, I was just as avid a reader as I am today. My first experience with Latinx characters didn’t come until high school, when I was assigned to read Bless Me, Ultima. Before that, I was only exposed to Latinx characters through books published in Mexico, read to me by my mom. I was never exposed to characters who came from similar situations as my own—Mexican-Americans whose families had lived in the U.S. for generations— and my view of “normal” book characters was very different from what I saw in my own life. Looking at some of the books currently available, I cannot imagine how much more I might’ve related to characters who looked like me or lived in environments like the one in which I grew up. Mark: For my Mark Does Stuff reviews, I record myself while reading, so no note-taking there! But for publications like Latinxs in KidLit, I do take notes. What stands out? Which parts do I want to comment on? I keep track of my thoughts and how they develop as I experience the text. Those transitions can often be the coolest part of reading. Sanjuana: My first step is to read the book just for fun! As I reread, I begin to think about my impressions of the text. My last step is to see what resources already exist online that teachers or librarians may find helpful. 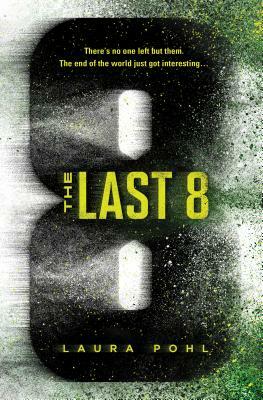 Katrina: I read through the book first, then write down my initial thoughts about characters, setting, plot-lines, and go back through certain parts to read them more closely. My style of reading is such that I sometimes get completely consumed by the story and forget to stop and write things down. Cris: I bookmark important moments and quotations with sticky flags as I go, but I also tend to have a document open on my computer or phone where I type out some rough sentences and thoughts that may make it into the final review. I end up Frankensteining these notes together after finishing the book. Cris: It’s really hard to turn off my scholarly training when I’m reading, so whatever I consume is filtered through that lens. I always have questions running through the back of my mind: How might this book be approached from a critical standpoint? Does feminist theory apply? Queer theory? Trauma studies? Sometimes those questions don’t make it into a review. Regardless, they’re always present, even if on the periphery, and they generate other modes of analysis that do come out in the reviews. Katrina: The area I live and work in is a predominantly Latinx community. One of my main responsibilities as a teen/young-adult librarian is making sure the youth I work with find content to which they can relate. This doesn’t mean characters have to be from Harlem or the Bronx, although that definitely is a huge selling point. Instead, the books I suggest must have genuine and honest characters, situations, and conversations. When I review a book, I ask myself, “Is this believable? Would a teen say something like that or behave in that way?” Authenticity in the representation of characters and situations is super important. Sanjuana: My work as an elementary teacher shapes the work I do as a reviewer. I am always thinking about how texts could be used in the classroom and how those books can facilitate conversations, particularly around difficult or controversial issues, such as immigration. In my current role, working with pre-service teachers, one of my goals is introducing them to books they’re unlikely to encounter in their field-experience classrooms. I want them to see the value of diverse characters and experiences in books, which they will hopefully include in their own future classroom libraries. Toni Margarita Plummer is an award-winning writer of short stories, who has also worked in publishing. I was an acquiring editor for many years, meaning I was the one always hoping for good reviews for my titles, for those one or two golden lines I could put up online or on the paperback. I think the best reviews accurately describe what the book is about, place it in context, and highlight the successes and shortcomings of the work, all toward the end of helping readers to discover books they will enjoy. That is what I try to give in my reviews, along with those few golden lines of praise someone can pluck. Katrina: I love reading stories about the border. It’s where I grew up, and writers like Guadalupe Garcia McCall and Benjamin Alíre Saenz take me back to the desert and open skies of West Texas. I also love reading fantasy that is Latinx-character centric. The Brooklyn Brujas series by Zoraida Córdova is by far my favorite. In addition, I’d love to read more about Latinx families that have been living in the United States for generations, like mine has—families that have sprawled across the country, and their stories of traversing back and forth. Mark: More Afro-Latinx rep is super important to me. I’m always on the lookout for more rep of queer Latinx, LGBT Latinx, and ace Latinx!!! The tradition I write in deals with the difficulties Latinx people face, historically and in our present time. But these days, I am also super into fluffy beach reads. I want some big Latinx rom-com YAs. Soon. I may be writing one myself! 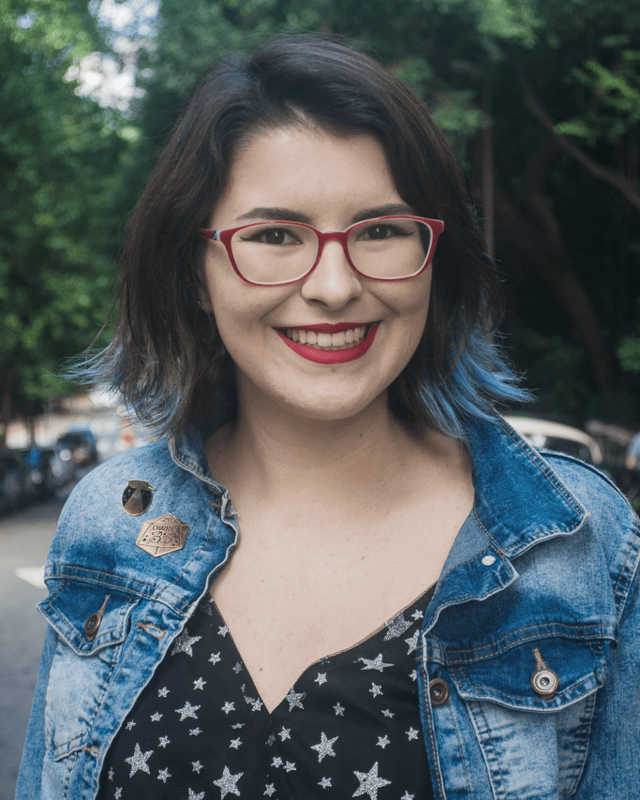 Cris: As a Latina who grew up in a rural area with no other Latinxs besides those I was related to, I want more stories like that–more diverse Latinx experiences represented. We need more queer Latinx stories, more Latinxs who don’t speak Spanish, more Latinxs living outside of big cities, more Latinxs who don’t have large, extended families. We also need to make being Latinx not a plot point—I love books where being Latinx is incidental to what’s going on. Sanjuana: I see a need for more books that represent diversity in the immigration experience, as well as more bilingual texts that reflect the growing number of multilingual students in schools. Cris: In continuation of my previous answer, I’m tired of books that homogenize the Latinx experience, even if they don’t mean to do so. Not all Latinxs act, live, and think the same way. I encounter certain plot lines over and over: barrio life, single-parent homes, racism and xenophobia. That’s not to say these things aren’t valid experiences or necessary for a certain readership. Mark: My reading pet peeves? Writers using a very easily solved misunderstanding to fuel their plot. Plots that could be solved by people just TALKING to one another. Also, Latinx drug lords. I’ll roll my eyes at the inevitable ICE or US border story written by a white person, with an attitude of “how can this possibly happen in our country?” Spoiler alert: it’s been happening for far, far longer than this past year. Sanjuana: I don’t like to read books that paint a perfect picture of the world. I believe that literature should represent current realities and issues that children and teens are grappling with. Katrina: My biggest pet peeve? When authors use Spanish in their characters’ dialogue, but then repeat the dialogue in English. It drives me up the wall to have to read the same thing twice! Toni: I am reading Roshani Chokshi’s Aru Shah and the End of Time, from the new Rick Riordan Presents imprint at Disney. Naturally, I am eager to read the imprint’s forthcoming Latinx titles by J.C. Cervantes and Carlos Hernandez. I think it’s so exciting that children will be invited to explore Latinx mythology through these books! I also still need to read I Am Not Your Perfect Mexican Daughter by Erika L Sánchez and The Poet X by Elizabeth Acevedo. Sanjuana: This a list of books currently on my desk ready to be read: Amal Unbound by Aisha Saeed, Dear Martin by Nic Stone, Another Brooklyn by Jacqueline Woodson, The First Rule of Punk by Celia C. Pérez ( I know that I’m late reading this one!). Picture books I can’t wait to read and share with kids: The Day you Begin by Jacquline Woodson, Dreamers by Yuyi Morales, and Imagine by Juan Felipe Herrera. Mark: Just read Gabby Rivera’s Juliet Takes a Breath and it was just as stunning as I’d thought it would be. I’m about to read and review the newest Anna-Marie McLemore, and then am eager to start The Resolutions by Mia García! Cris: My current “hot read” is any book I’m using for my dissertation, but I’m particularly enjoying digging into Celia C. Pérez’s The First Rule of Punk. My current TBR is anything I’m not using for my dissertation! I’m very excited to dive into Zoraida Cordova’s Brooklyn Brujas series. I recently began Lila Quintero Weaver’s My Year in the Middle, and there are some rad looking anthologies that have been recently released! Katrina: I just finished Javier Zamora’s Unaccompanied, a semi-autobiographical (or so it seems) account of the journey north from Central America, written in verse. It’s heartbreaking and redemptive and beautifully put together. Our warmest thanks to the reviewers who participated in this roundtable discussion! We’ll continue the conversation in the next installment. FROM THE BOOK JACKET: Musician, botanist, baseball player, pilot—the Hispanics featured in this collection come from many different backgrounds and from many different countries. Celebrate their accomplishments and their contributions to collective history and a community that continues to evolve and thrive today! Poems spotlight Aida de Acosta, Arnold Rojas, Baruj Benacerraf, César Chávez, Fabiola Cabeza de Vaca, Félix Varela, George Meléndez Wright, José Martí, Juan de Miralles, Juana Briones, Julia de Burgos, Louis Agassiz Fuertes, Paulina Pedroso, Pura Belpré, Roberto Clemente, Tito Puente, Tomás Rivera, and Ynés Mexia. The profiles are arranged chronologically, and each featured individual receives a double-page treatment consisting of a brief poem and a portrait illustration. The first spot belongs to Juan de Miralles (1713-1780), a Cuban supporter of the American Revolution, whose intervention helped save George Washington’s troops from scurvy. The final selection is Tomás Rivera (1935-1984), an influential teacher, poet, and University of California chancellor, who was also one of Margarita Engle’s creative-writing professors. As with her novels in verse, Engle presents the stories of the characters through first-person-voiced poems that draw attention not only to that individual’s contributions to society, but also to the passions that drove them to action. Enjoying the adventure of a two-country life. As with all eighteen of the profiled subjects, we can learn more about Ynés Mexía in the supplement “Notes About the Lives,” which explains that her career as a botanist began at age fifty-five and led to the discovery of five hundred new species. In his bold, graphic portraits, Rafael López signals each person’s setting and historical period through carefully selected details in their apparel, the background scenery, and through visual symbolism that enriches the poetic text. One noteworthy example is in the profile of Félix Varela (1788-1853), an exiled Cuban priest whose ministry in New York focused on newly arrived Irish immigrants. In his portrait, Varela wears a clerical collar and holds an olive branch in his right hand, signifying the pacifism that set him at odds with his countrymen in Cuba. On the opposite page, a smaller and simply rendered three-leaf clover pays homage to Varela’s Irish parishioners. Readers familiar with Margarita Engle, whose poetry often elevates the work of unsung Latinas, will not be surprised that the collection includes seven noteworthy women. In addition, a generous proportion of those featured are of African or indigenous ancestry, and this diversity is satisfyingly represented in López’s stunning portrait work. By showcasing extraordinary, yet under-represented achievers, Bravo! enhances their visibility and sends an affirming message to girls and children of diverse racial and ethnic backgrounds. With that said, this collection would have felt more complete if it offered a wider representation of ancestral lands. Among the eighteen profiles, there are no Dominicans, and only one of each from Central America and South America. (Editors, please take note that Latinx people represent a broad sweep of nations and cultures.) Perhaps in recognition of the impossible task of selecting just eighteen subjects, a supplement at the back of the book entitled “More and More Amazing Latinos” provides a list of over twenty more Latinx achievers. These include Tony Meléndez, a Nicaraguan American guitarist; Adriana Ocampo, a Colombian American planetary geologist for NASA; and Jaime Escalante, a teacher of mathematics from Bolivia. Bravo! Poems About Amazing Hispanics is a jewel of a picture book. It offers children an introductory glimpse of important historical figures they may never otherwise hear about. And let’s face it: adults will learn a great deal from these pages, too. As members of the Latinx community, these history-makers represent a rich variety of educational and economic backgrounds, an impressive array of careers and causes, as well as a diverse range of racial and ethnic legacies. Taken together, the tributes in this beautiful book point to the depth, complexity, and durability of Hispanic contribution to culture, innovation, civic advances, and many other components of life in the United States. ABOUT THE AUTHOR: Margarita Engle is the national Young People’s Poet Laureate, and the first Latino to receive that honor. She is the Cuban-American author of many verse novels, including The Surrender Tree, a Newbery Honor winner, and The Lightning Dreamer, a PEN USA Award winner. Her verse memoir, Enchanted Air, received the Pura Belpré Award, Golden Kite Award, Walter Dean Myers Honor, and Lee Bennett Hopkins Poetry Award, among others. Drum Dream Girl received the Charlotte Zolotow Award for best picture book text. For more information, visit Margarita’s website. ABOUT THE ILLUSTRATOR: Rafael López, who was born in Mexico City, is an internationally recognized illustrator and artist. A children’s book illustrator, he won the 2016 Pura Belpré medal from the American Library Association for his illustrations for Drum Dream Girl and the 2010 Pura Belpré medal for Book Fiesta. In 2012, he was selected by the Library of Congress to create the National Book Festival poster. He has been awarded the 2017 Tomás Rivera Children’s Book Award, three Pura Belpré honors and two Américas Book Awards. The illustrations created by López bring diverse characters to children’s books and he is driven to produce and promote books that reflect and honor the lives of all young people. Learn more on his website. ABOUT THE REVIEWER: Lila Quintero Weaver is the author-illustrator of Darkroom: A Memoir in Black & White. She was born in Buenos Aires, Argentina. Darkroom recounts her family’s immigrant experience in small-town Alabama during the tumultuous 1960s. It is her first major publication and will be available in Spanish in January 2018. Her next book is My Year in the Middle, a middle-grade novel scheduled for release in July 2018 (Candlewick). Lila is a graduate of the University of Alabama. She and her husband, Paul, are the parents of three grown children. She can also be found on her own website, Facebook, Twitter and Goodreads.